Russia is doing nothing to provoke American officials to call it the biggest threat to the US. Russians are just responding to America’s provocative behavior of putting missiles in Eastern Europe, former US diplomat Jim Jatras told RT's Ed Schultz. 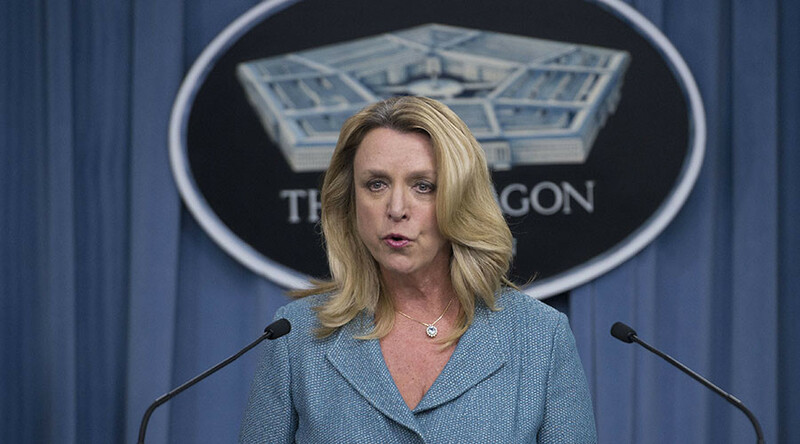 US Air Force Secretary Deborah Lee James told Fox News that Russia is the number one threat to America and that it could pose an “existential threat”. RT: Why do US authorities keep pointing the finger at Russia without providing any concrete details? Jim Jatras: I think they are doing it for a number of reasons… Let’s look at Ms. James background. She was with SAIC [Science Applications International Corporation] – between the time she was with the Clinton Pentagon and the time now she is the Secretary of the Air Force. Let’s face it; Eisenhower’s military industrial complex is on steroids. There is no money in fighting terrorism. Look, what is going on in Europe – in France, in Germany. What is NATO doing about that – not much. But if you’re building big budgets: you want new aircraft, you want to deploy missiles in Eastern Europe – that is where the big bucks are. I think that is part of it, and the other part of this is politics. We hear today about the 50 officials that came out against Trump and said he was reckless. Bill Kristol has found his perfect candidate now; there is fellow Evan McMullin who is former Goldman Sachs, former CIA… We have an apparatus here of global hegemony that is tight to a lot of money. RT: Are you suggesting that Russia is being used as a tool to supply more funding to the Defense Department? JJ: I think that is a huge part of it, but unfortunately that is not the only part of it. It also ties in too a much broader – as I say, deep state oligarchy that really controls the establishment of both parties for which Hillary Clinton is one face, Jeb Bush was the other face – they want the 1980’s back. 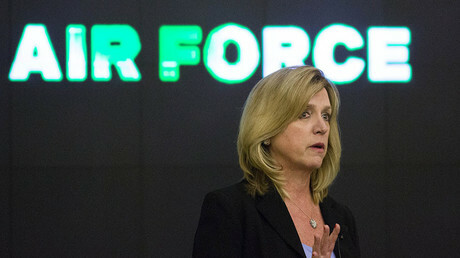 RT: What is Russia doing that would provoke the Air Force Secretary to say this? JJ: They are not doing anything, they are responding to what from my point of view, as an American, as a conservative, I consider very provocative behavior – putting these missiles in Eastern Europe supposedly against the Iranian weapons that don’t exist and nobody is calling to be defended from. And the Russians are saying: “Look, we don’t know what you’re putting in those sites. That could be anything. And what, we’re supposed to rely on your word?” If they did that to us, in the neighboring country to us, how would we respond? Would we talk about putting our forces in the Baltic, in Black Sea within just a few dozen miles of major naval bases of the Russian Navy? How do we expect them to respond? RT: Recently Russia has made an alliance with the Iranians on a number of different fronts. There has also been somewhat of a laid out cooperation with China. How troublesome is this to the US? JJ: I think it just shows a complete lack of strategic vision on part of the establishment of both parties. You would think it would be good strategic sense to be friendly with both Moscow and Beijing than they are with each other. If we had sat down and come up with a plan to try to drive them together, we could not be doing a better job. RT: What is the resolution to this? We’ve got a lot of different hotbeds around the world right now. Shouldn’t there be a pretty critical analysis of President Obama’s foreign policy? JJ: Absolutely. To my mind it is just simply George Bush lied, or George Bush with drones instead of renditions. It is the same policy. We should be looking about how to cooperate with countries where our national interest coincide, and not provoke conflict unnecessarily. RT: Should the US be concerned about the modernization of the Russian military? JJ: I think we should be in the sense that we should not be taking steps ourselves that are calculated to incentivize them to do that. In itself it doesn’t do that anymore than modernization of our military should be a threat to them if we were to keep it in a defensive posture, which increasingly we’re not doing.